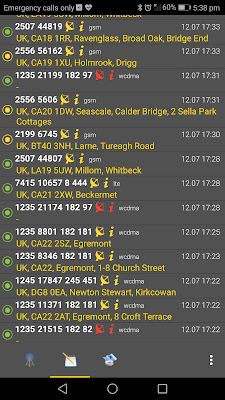 On the way home from work I was stuck waiting for a train an hour so had a play around with the Netmonitor app on my phone. I was in an area where there is, normally a 2G phone signal if you're lucky. 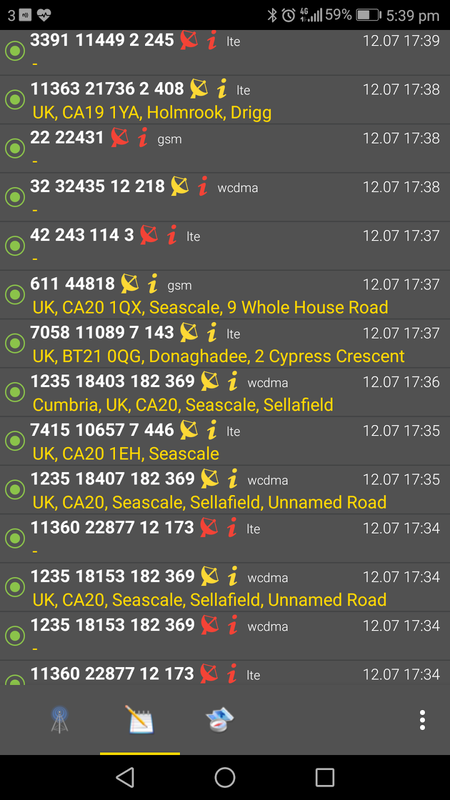 This means that if there is any odd propagation at UHF, all sorts of different phone masts start being picked up, and being near the sea also helps.Well after leaving Netmonitor on for a bit, it had picked up a few cells in the Stranraer area, which is over the horizon so pretty good, but the best was a GSM signal from Larne in Northern Ireland (around 160km), and a 4G signal from Donaghadee, almost as far away across the Irish Sea. When I got home, there were some big signals on the 70cm band, with at least one of the two Isle Of Man repeaters on 430.825 being full scale. 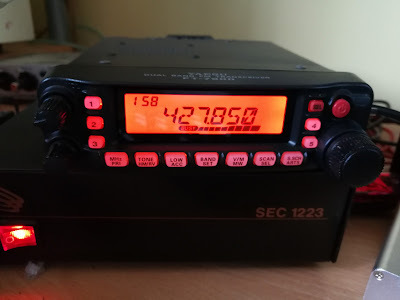 I had a go at using the DMR handheld indoors to access GB7BR at Bride, and managed to get in. 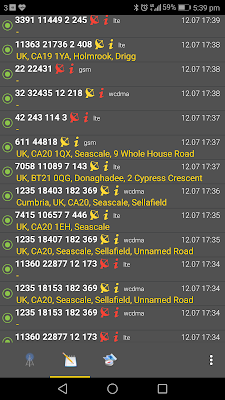 Also got into GB7UL at Carrickfergus from the handheld indoors. 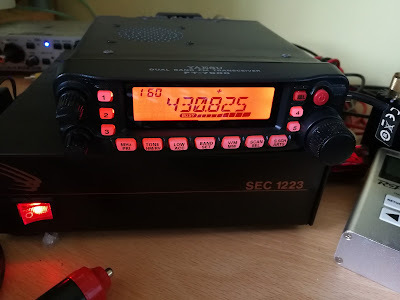 This repeater on 430.825 is usually no S-points, but full scale here. 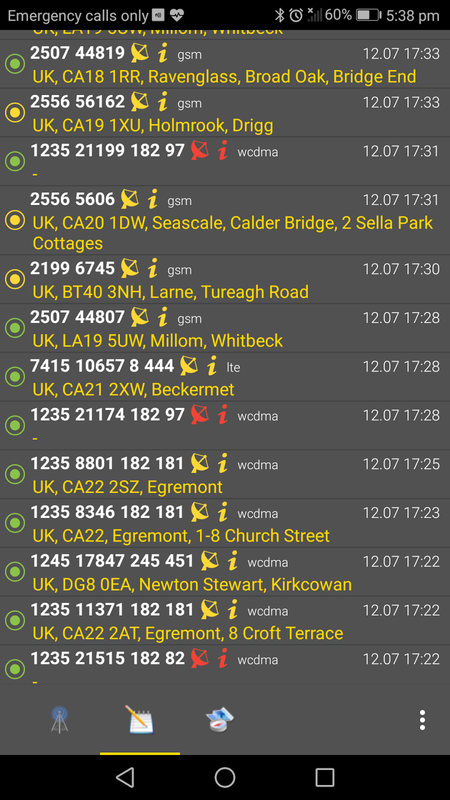 A handy 'beacon' on 427.850 - Dublin buses trunking data, active 24/7 and the first thing to come through when there is any propagation across the Irish Sea on UHF. On 145MHz simplex I spoke to GI0BDX in Newtownabbey. One signal which I'm still not sure about is an Echolink gateway on 439.100, which I can't find on any lists (unless it's in Germany, which seems unlikely). Could be in Ireland as that's where lots of other signals were coming from. Today (Thursday) everything was back to normal, back at its usual signal strength.